Contributions to your TSP help to cut your taxes. 1. Does a 401(k) Contribution Reduce Taxable Income? 2. What Happens If I Close My Thrift Savings Plan? 3. Can I Leave My Money in My Thrift Savings When I Retire? The Thrift Savings Plan, or TSP, is a retirement program for federal government employees, including military personnel. It operates much like a 401(k) and can provide participants with benefits such as retirement funds and money for emergencies or special needs, such as medical bills or purchasing a home. If you are eligible to participate in a TSP, you can use it to reduce the amount you pay in taxes, often with minimal impact to your net pay. Enroll in the TSP program through your place of employment. In some cases, such as those covered by the Federal Employees Retirement System (FERS), you are enrolled automatically and payroll deductions begin immediately. If you are not automatically enrolled, fill out the enrollment form available through your human resources department. Specify how much of your income you want to contribute to your TSP account. The larger your contribution to your TSP account, the lower your current tax obligation will be. To get the most tax benefit, contribute the maximum amount allowed. Check your TSP contributions as the end of the year approaches. You may find that you have not reached the maximum annual limit, an amount that can vary from one year to the next. Increase your contribution percentage or change it to a flat rate so that you reach the limit by the end of the year for maximum tax benefit. The Internal Revenue Code (IRC) establishes the maximum elective deferral amount each year. For 2012 that amount is $17,000. Enroll in the TSP Roth account. Roth programs have specific eligibility requirements, so check with your human resources department to make sure this is an option for you before you sign up. Contribute the maximum allowable amount to your account. 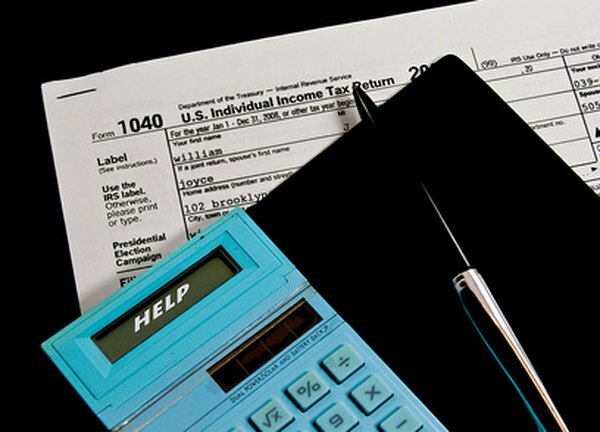 Roth contributions are made after taxes, meaning that you have to pay taxes on any money you contribute to your Roth TSP account before it goes into the account. The total of all TSP contributions combined cannot exceed $17,000 for 2012. Leave the money in the account until you retire. Removing money early may have negative tax consequences, including a 10 percent Internal Revenue Service penalty. Roth funds and their earnings are not taxable once you reach retirement age, and in certain other circumstances, such as if you become disabled. The result is that even though you paid tax on the original amount, you avoid paying it on your Roth account earnings. Military personnel may have both taxable income and tax-exempt income, depending on their deployment. Contributing tax-exempt income won’t affect your current tax obligations, since exempt contributions remain exempt, but the money earned by those contributions is taxable upon withdrawal. Many people find it necessary to strike a balance between account contributions and net pay. In some cases increasing your contribution may make very little difference to your net pay, because the reduced tax withholding offsets the amount you put in your TSP account. In other cases the difference in tax withholding is not enough to offset the TSP contribution, so your net income drops significantly. You can check how your contributions will affect your net pay by using an online retirement plan calculator. Can the Balance in a TSP Account Be Rolled Over Into a Roth IRA? How Much Can You Put Into a Supplemental Retirement Account Per Year?